A new report says ICE isn’t holding contractors accountable for detainee safety and instead is giving them waivers when they are not meeting standards. DENVER — A new report says U.S. Immigration and Customs Enforcement isn’t holding contractors accountable for detainee safety and instead is giving them waivers when they are not meeting standards. The Homeland Security Office of Inspector General report found in 14,000 cases of deficiency, ICE only fined the contractor twice, even in cases of sexual assault, employee misconduct and use of tear gas on detainees. The report found contractors consistently were not fined by the agency and were given waivers instead. “Another waiver allows a facility to commingle high-custody detainees, who have histories of serious criminal offenses, with low-custody detainees, who have minor, nonviolent criminal histories or only immigration violations, which is a practice the standards prohibit in order to protect detainees who may be at risk of victimization or assault,” the report detailed. 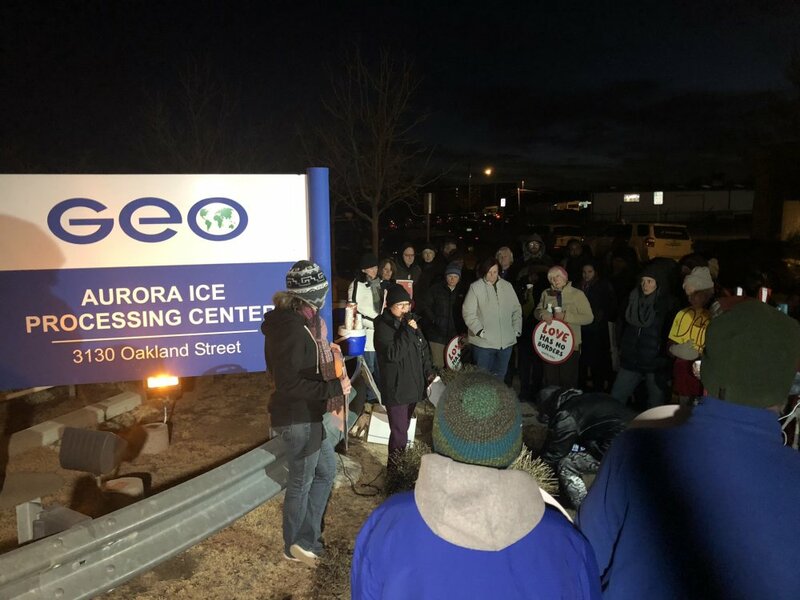 The Denver Ice Detention Facility operated by Geo Group Inc in Aurora, Colorado, is just one of those facilities spread across the country. Activists say Geo Group does not provide adequate health care there. “There have been two deaths at this facility and the problem is there is not adequate health care,” said Gabriela Flora with American Friends Service Committee. Flora says there is just one doctor for 1,300 people in the facility. Jeanette Vizguerra was detained at the Aurora facility twice. She describes the experience as slavery.